As a close family friend, I have partly dedicated this blog to the life and work of Richard (Dicky) Wasey Chopping, illustrator and writer, who died at the age of 91. 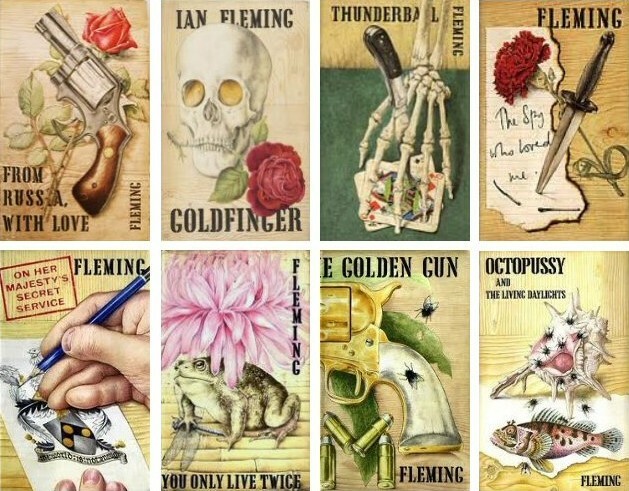 Richard Chopping provided the iconic original dust covers for 9 James Bond novels with his art, rooted in the natural world in the Trompe L’Oeil style. His circle of friends included Francis Bacon, Kingsley Amis, Peregrine Worsthorne and Benjamin Britten. Encouraged to paint by his art teacher. Richard Wasey Chopping was born 14 April 1917 in Colchester Essex to a family known for their flour mills. Chopping attended Greshams boarding school in rural Norfolk (along with notorious Cambridge spy Donald MacLean) where one of his teachers encouraged an interest in art. Painting would become a calling, and with the suggestion from fellow artist and lifelong partner Denis Wirth-Miller, Chopping debuted two paintings at the Goupil Galleries in 1939. 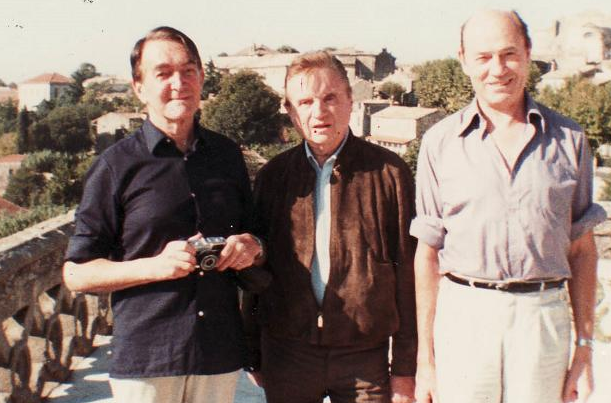 Francis Bacon took Ann Fleming – Ian Fleming’s wife – in to see his own work, Chopping recalled. Then he took her upstairs to see mine, which was very good of him, and Ann went back to Ian and said, ‘Well, you ought to get this chap to do your next book jacket. They met at one of the Ann Fleming’s artistic salons, where Fleming granted Chopping the commission for From Russia with Love. I was quite fond of doing the early work, but it became a bore and I hate the books. I don’t like the violence. There is enough violence in the world without needing to make it glamorous. 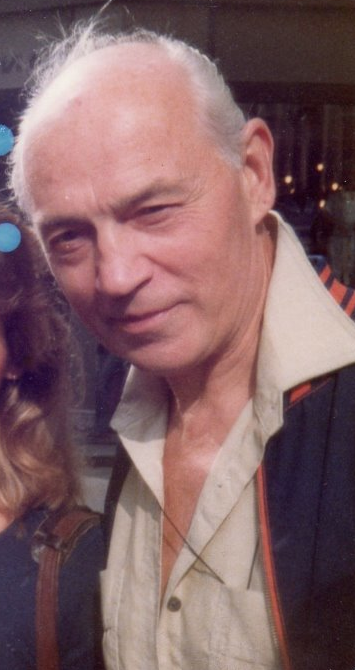 Although he was not involved in the poster designs for the Bond films, Mr Chopping was invited on to the set when Sean Connery was filming From Russia With Love. But the experience only confirmed his growing dislike of Fleming. Sean Connery was trying to throw a hat on to a hat stand and he kept missing it. Fleming said: ‘They must have scraped the bottom of the barrel when they got you’, which I thought was very rude. Sadly towards the end of his life Chopping became quite bitter about his association with Fleming and protested the violence in the books. The artist even claimed at one point that he would have made more as a lavatory attendant than he did from his Bond dust jacket paintings. An impressive collection of first edition’s of Ian Fleming’s Bond novels was also on display at the Barbican in 2012. In his last years he had kindly donated some first editions of his book covers, including a number of Bond classics, and some paintings to Gresham’s. I think the Richard Chopping covers are very hard to beat – they have a classic clarity to them. They are iconic feel that works brilliantly well, I think it was one of Fleming’s acts of genius was to get Chopping to do the covers. They have this incredible versatility, they look terribly simple, but they are visually very clever, they have great subtlety to them. Richard Chopping lived in the artists’ community at Wivenhoe, Essex, from 1944 with his partner Denis Wirth-Miller. Chopping – and renowned artist in his own right Denis – lived together for some 70 years from the time that Wirth-Miller was 21, Chopping 20. Wirth-Miller helped foster Chopping’s artistic talent and both were exceptional gardeners, who lived life to the full. Many of the tales of their revelry are simply unprintable. More still however, chronicle the two artists’ kindness, lack of snobbery and general entertainment value. […] They met absolutely everyone of course. Of the Great Beast Aleister Crowley, for example, Dicky had said: ‘Didn’t we spend an evening with him in the south of France, Denis? Silly little man.’ they’d been in all the right places – and quite a few of the wrong ones too – at all the right times. The loving relationship with his partner Denis Wirth-Miller ‒ well-known for its occasional nuclear rows ‒ survived for seven long decades. It culminated in their marriage at Colchester Registry Office. And, on the very first day that such a union had become legally acceptable, there they stood, each balanced either side of ninety years old. 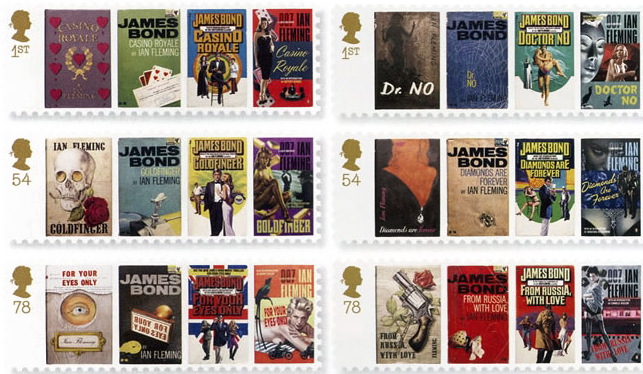 The Royal Mail is marked the centenary of the birth of Bond creator Ian Fleming with six stamps issued on 8 January, 2008, featuring different editions of six of his most famous novels. Dicky Chopping was quite a character. I was in an end of term pantomime with him at the Royal college of Art. He was wonderful. At the end of the run he took me to dinner at Langhan’s in London’s picadilly and then on to a saucy bar. i’d never seen anything like it. he was very generous. I am glad he crossed my path. If you met him on the street, or in a shop, he might first regale you with a litany of his medical travails. Steer him onto almost any subject other than the nuisance of his declining health and he would be by turns outrageous, erudite and incredibly nice. 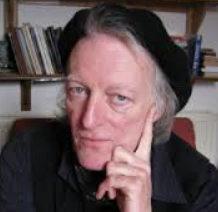 With the passing of Dicky Chopping goes not only a part of the 20th century but also a splash of vibrant color on a largely monochrome England of his times – an England which George Orwell described as a place where, in theory, everything was forbidden but in reality anything might happen. That Essex should have spawned such a fellow as ‘the Bond artist’ is to its eternal credit.